Princess Charlotte, the youngest child of Prince William and the Duchess of Cambridge, started her first day of Nursery today. Her mother, Kate Middleton, released photographs of her two-year-old daughter, who looked positively beaming with excitement as she started her first day at the Willcocks Nursery School, which has been described by Tatler as a ‘hidden gem’ flying ‘under the radar’. The prestigious nursey is little than half-a-mile away from their home in Kensington Palace. 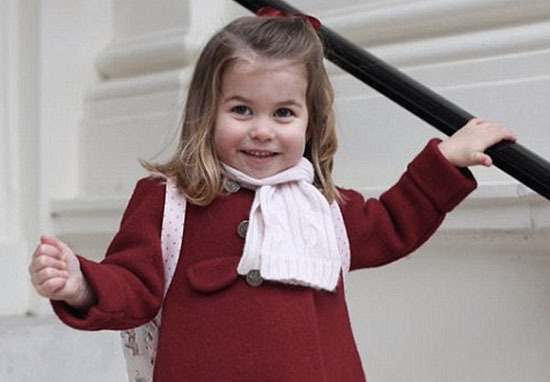 Princess Charlotte was snapped wearing a burgundy coat, pink scarf and smart red shoes, along with a pale pink backpack with spotted straps by designer Cath Kidston, reports the Daily Mail. 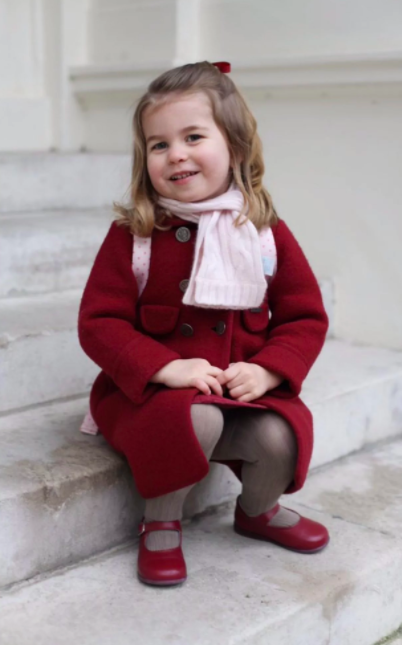 The backpack’s design was full with pictures of ponies, which suggests she’s already been inducted into the Royal Family’s love of all things equestrian. 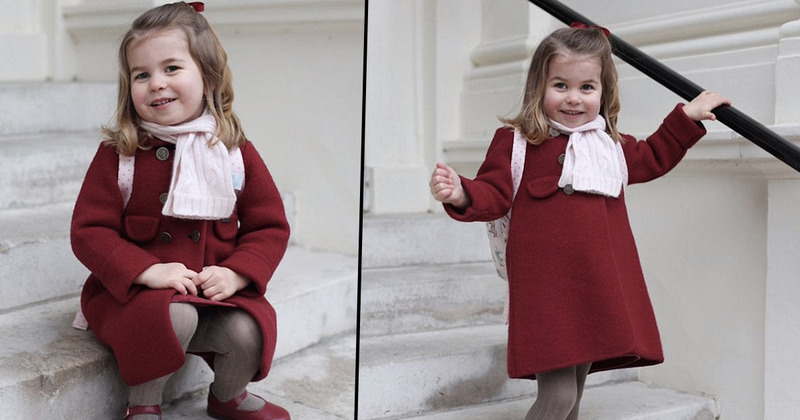 A spokesperson for Kensington Palace confirmed the two pictures were taken by her mother just be before she embarked on her first day at Willcocks Nursery School. Meanwhile, her four-year-old brother, Prince George, is making his return for his second term at Thomas’ Battersea this week. William and Kate will also be returning to work this week, with the Prince expected to visit the Royal Marsden Hospital as part of the Prince’s trust. The Duchess will make a visit to the Reach Academy in Feltham as patron of children’s mental health charity Place2Be. The couple, who are expecting their third child in April, moved back to London last year, in order to fully dedicate their time to their Royal duties. Willaim’s role and workload with his grandmother, The Queen, has increased significantly following the retirement of his grandfather Prince Philip.